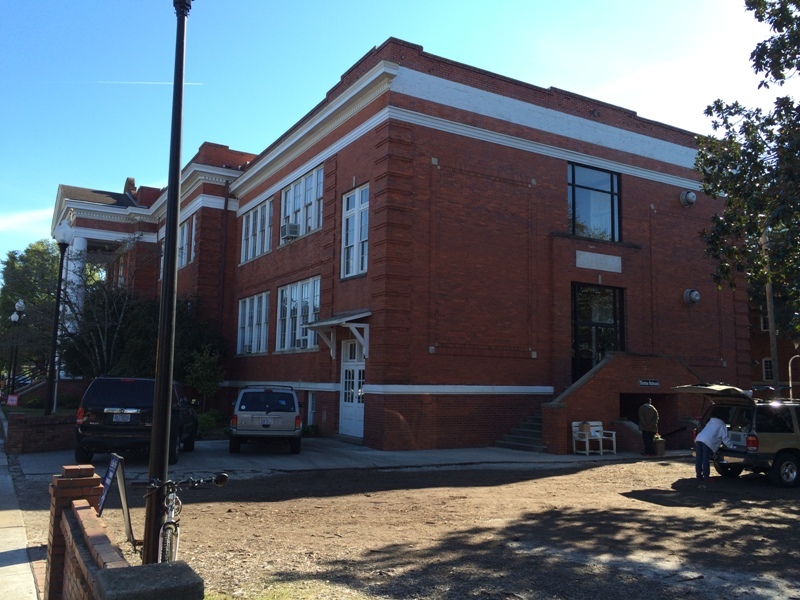 On a quiet street a few blocks south from the heart of downtown Wilmington you’ll find Tileston Outreach, one of our partner agencies that gives food, clothes, basic health services, and furniture to 160 people in need every week. When you fall on really hard times, this is the place you come to get help. Outside of Tileston Outreach in Wilmington. The agency is located through a small side door of a large church building. A friendly volunteer greets clients as they come in to a warm room with art hung on the walls, colorful rugs draped on the floor, and snacks on a coffee table. Families wait with their children as a woman sitting at a big, brown desk calls out names one at a time. It’s her job to get to know these families—their primary language, how many people live in their home, and their current situation and needs. Four days a week the food pantry buzzes with volunteers picking out grocery bags for families and adding them to carts filled with clothes, appliances, and other house wares. “I didn’t realize how much need there is in Wilmington. I thought people just needed to work harder. But then I saw how hard it is to get out of a rut when it’s higher than your head. 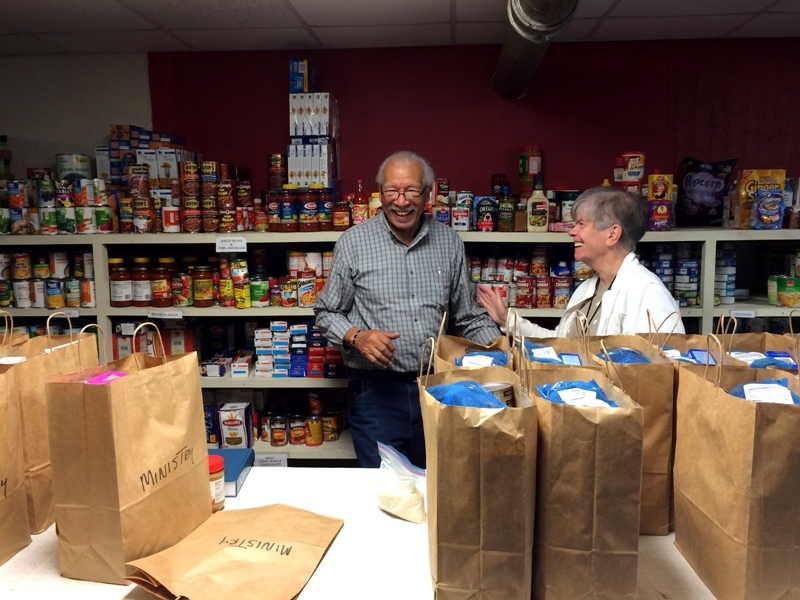 Sometimes you really need help from someone else,” said a food pantry volunteer. “Without them people would have nothing.” Tileston Outreach picks up donations from their local Food Lion store every week as part of our Retail Recovery Program. 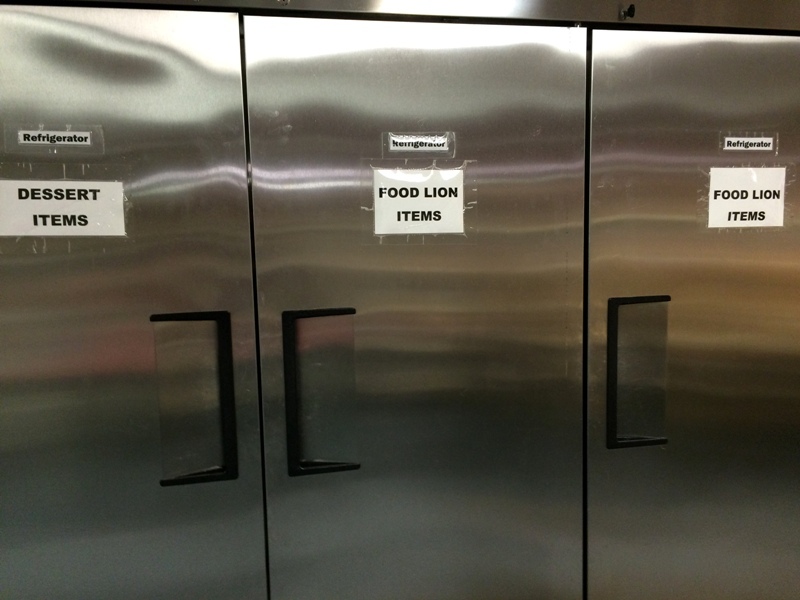 The food they receive from Food Lion makes up a big part of the groceries they’re able to give to their clients. When I visit Tileston, I almost always see my friend Sylvester. Sylvester packs grocery bags of food in the food pantry three days a week. He has a big smile and a warm laugh. From the minute you shake his hand, you can tell he loves volunteering here. 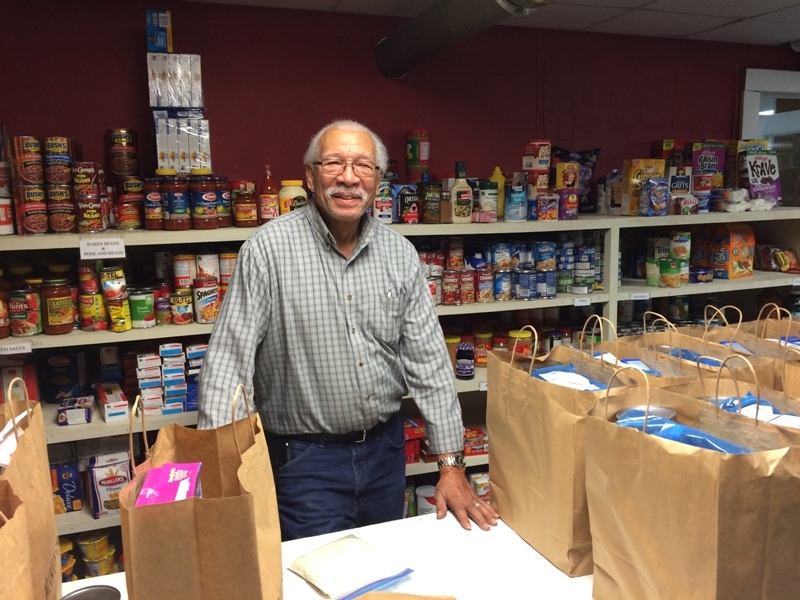 Sylvester, the food pantry volunteer, packs grocery bags full of food for clients. “I find joy in this work. Especially when I’m feeding people who don’t know where their next meal is coming from,” said Sylvester. “It’s a chance to help someone else. And that’s important because you don’t get that many chances in life to make a difference.” He’s volunteered at this pantry for eight years and counting. In New Hanover County there are more than 36,000 people who are food insecure. That’s more than 17% of the entire county population. On one of my visits to this pantry I spoke to a woman who used to be a full-time caretaker, but had just lost her job and needed some extra food as she tried to find work. I hear that a lot from people across our service area—people doing the best they can but still struggling to make basic ends meet. And that’s where Tileston and our other partner agencies come in. They are here to make sure people have enough food to eat so they have enough energy to focus on getting a new job, learning a new skill, and taking care of their family. Because if you can’t think of anything but how hungry you are, or how hungry your children are, how will you be able to climb out of that rut?